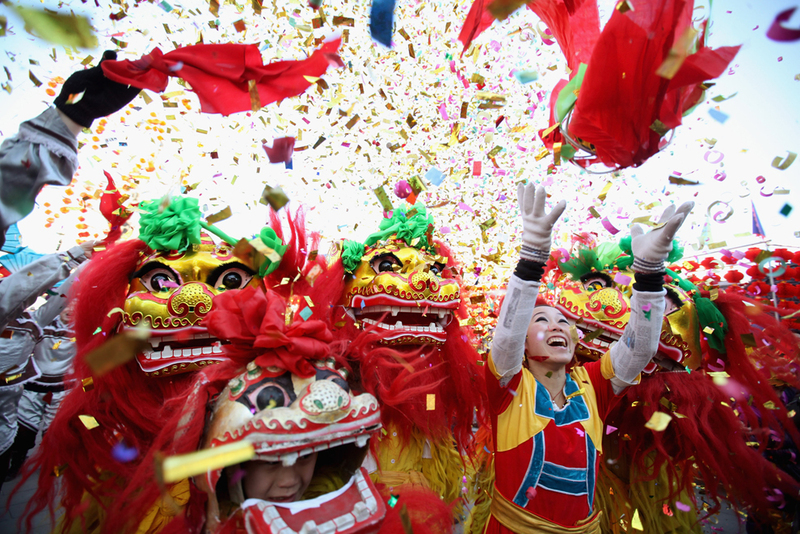 The Spring Festival, or more commonly known in the U.S. as Chinese New Year, is a celebration that has taken place for thousands of years in Chinese land and cultures (some say as early as 2300 BC!) (Wiki). As many years as this holiday has been celebrated, there are just as many stories, myths, customs, do’s and don’ts. 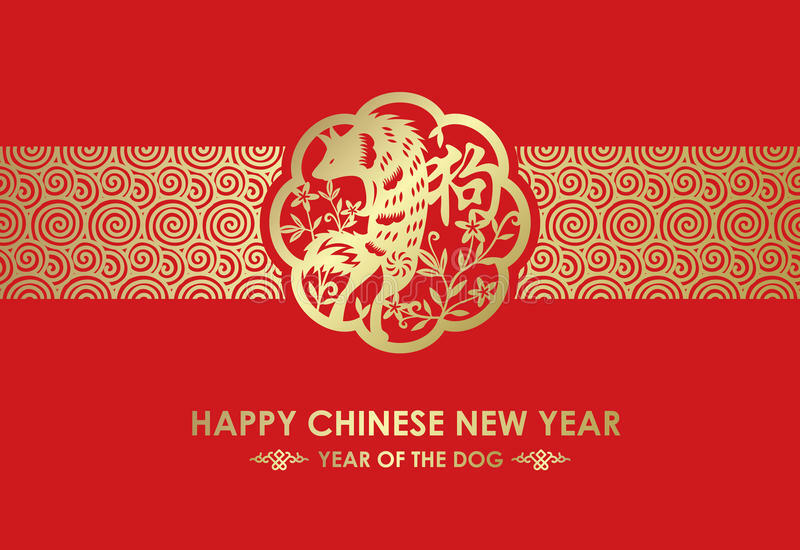 Even if you are not familiar with Chinese culture, Chinese New Year is a wonderful time to recognize and welcome the new, as well as celebrate a time of togetherness and family. The Chinese Zodiac also plays a considerable role in the new year. Each year, one of twelve animals takes the role as animal of the year. These animals are, in order: rat, ox, tiger, rabbit, dragon, snake, horse, goat, monkey, roaster, dog, and pig. “The Great Race” infamously determined the order. This race was an ancient event held by the Jade Emperor, who, in Taoist theology, was the first god. The race required each animal to cross a river. The dog in this story, like many dogs, had too much fun splashing across the river, which led him to be second to last. Similar to the Astrological Zodiac, the year an individual is born is suspected to emulate the animal of that year. People born within the year of the dog are therefore fun-loving, honest, and dependable. 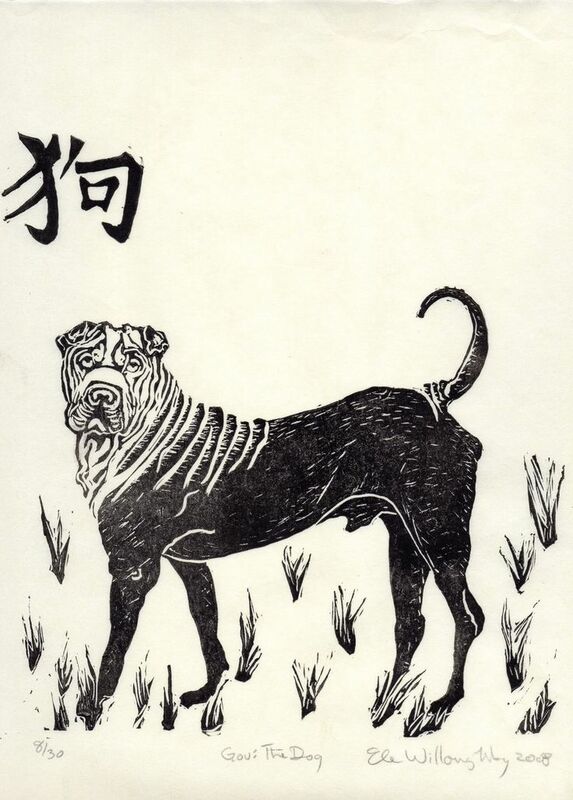 Unfortunately, however, for people who are born under the year of the dog, this year is traditionally predicted as being very difficult and personally challenging. (Pachamama Alliance) (Chinese New Year 2018). However taxing the new year may be for people born under the year of the dog, there are many traditions that can help bring about luck in the new year. One tradition is to write 福 ‘fú’ in traditional calligraphy on a red piece of paper and hang it outside your front door. Depending on the tradition, some people will place fú upright or upside down. 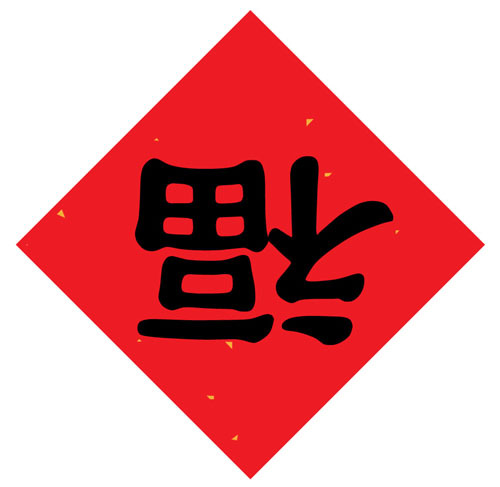 Fú upright translates to “happiness,” or “fortune.” Historically, during the Ming dynasty, the Emperor of that time commanded all households to place fú outside their door during New Year. One illiterate family made the mistake of having fú upside down. 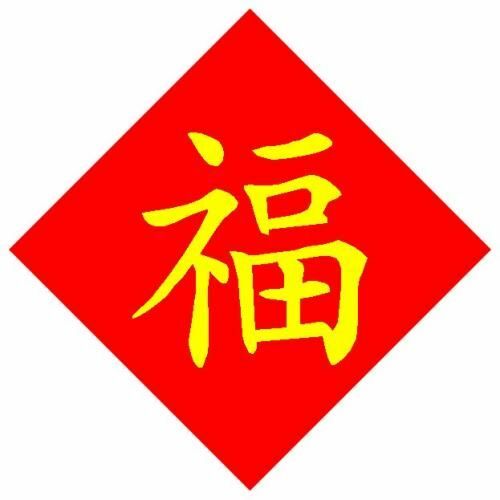 The Emperor was outraged and was about to inflict punishment on the family, when the Empress came up with the explanation that “upside down” 倒—dào) is a homophone of “here” (到—dào). Therefore, when fú is upside down, it means luck is here. This tradition is also said to pay homage to the kindness of the Empress of that time. Another lucky tradition (that is a little more delicious) is the tradition of certain foods being consumed during the New Year. Most traditional houses will create an entire feast for their whole family with many courses and foods. Some more familiar items that are eaten during this time are spring rolls and noodles. Spring rolls are a common dish that is often served as an appetizer. Traditionally made with pork, Chinese cabbage, shiitake mushrooms, carrots, and seasoning. These rolls are usually baked or steamed, unlike the fried egg rolls common in American Chinese restaurants. The spring rolls are eaten to wish good fortunes on the spring season ahead. (Chinese New Year 2018). Noodles, despite being highly disputed as to where or who started to create them, are also a traditional lucky treat. Noodles symbolize prosperity and, in superstition, the longer the noodle the longer your life will be. Therefore, in order to not cut your life short, it is customary to not chew the noodles but instead to slurp! Other ways to ensure good luck include: not showering, not cleaning, not throwing anything away, not swearing, not fighting, not cutting your hair, and not using sharp objects. Although these all sound like a lazy person’s dream, it is not so true for those who truly participate in the holiday by spending weeks in preparation to make sure that nothing has to be done for the 23 days that is the Chinese New Year. Oh yes, this holiday, unlike the one night party we throw for January 1st, is quite the event. The tradition of Chinese New Years stems back thousands of years, but, in recent times, the holiday has lost its religious value. Despite this, the Chinese Zodiac is still held in high regard as a means to determine future and fortune. So how will you celebrate the New Year? Maybe eat a noodle? Maybe wear some red? Maybe try doing a little bit less to value those around you a little bit more? You don’t even have to clean! It is also always important to remember to be courteous when celebrating a holiday that is not from your culture. Many sources said that the Chinese love to include many different kinds of people into their cultural traditions, but there is always a respectfulness that is needed and deserved. We wish you all happy celebrations and a year full of good health and prosperity!